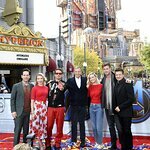 CharityBuzz.com is giving you the chance to meet Scarlett Johansson at the premiere of Avengers: Endgame in Los Angeles. The auction gives you the chance to watch the end of the journey along with the stars of Avengers. After the movie, rub shoulders with the cast and celebrities. You and your guest will get the chance to meet and take a photo with Scarlett Johansson! Proceeds from the auction will go to Robert F. Kennedy Human Rights, which pursues justice on human rights, educates children in human rights advocacy, and fosters a social good approach to business and investment. Be quick, this auction ends soon. The auction can be accessed here.